The night has arrived, it's Bonfire Night! 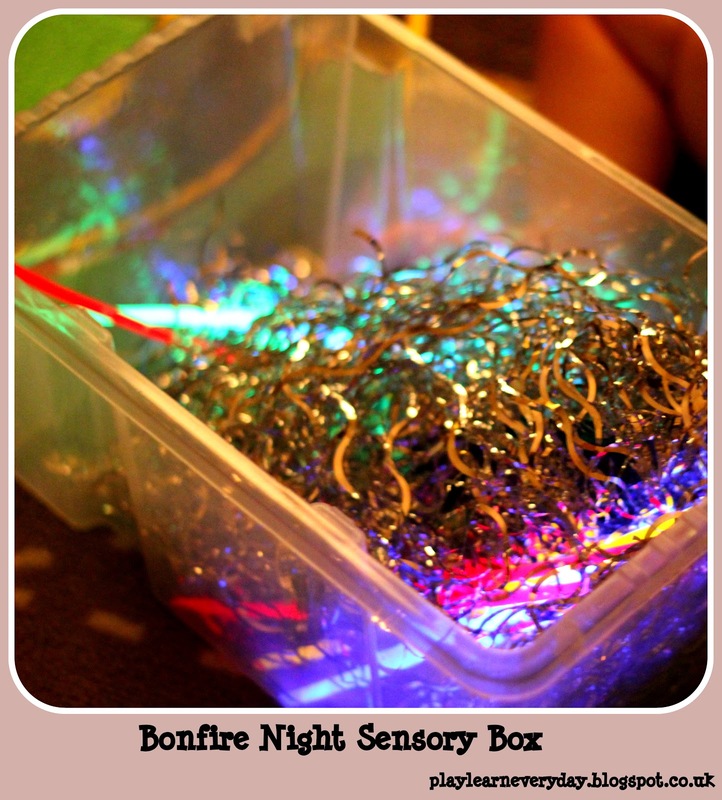 Again we're just staying in, but we're bringing together a few different things we've been playing with to make a Bonfire Night Sensory Box! Again this helped develop Ethan's Knowledge and Understanding of the World as he explored a variety of different materials in the dark. He had his own little flash light and was really interested in watching the path of the light and trying to catch it. It also worked on his Physical Development as he worked on his fine motor control picking up the tiny strands of tinsel. It's just a shame that the glow sticks didn't last very long to play with again.